and iPhone by enabling them to find time for meetings and book rooms. Today, we're happy to announce that room suggestions and showing guests' time zones are coming to Google Calendar on the web. When you create meetings, Calendar will suggest rooms based on your and your guests' previously used rooms. You can continue to browse or search for rooms as you do today. 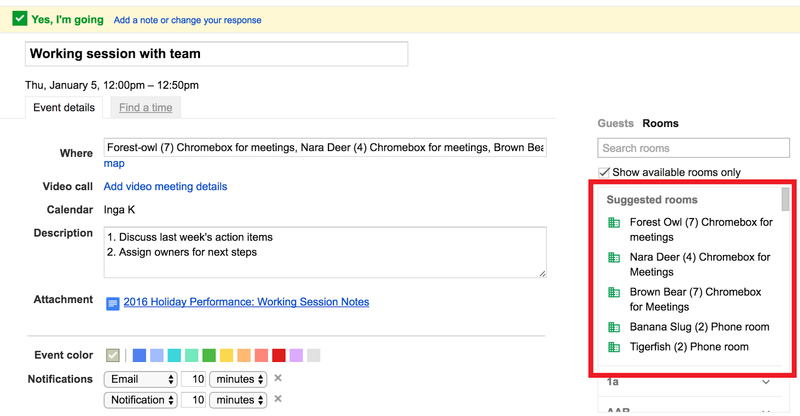 Finding time to collaborate across time zones is now easier with Google Calendar. 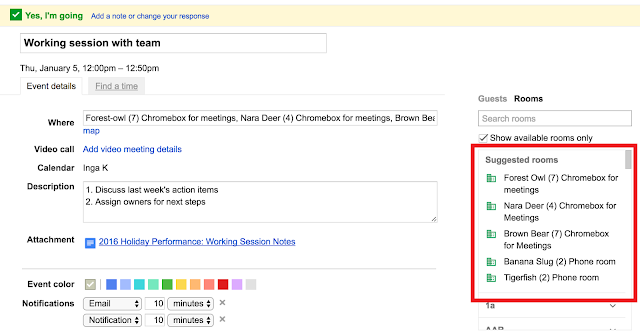 The "Find a time" tab shows the time of the meeting in the time zone of each guest – if they are different. You can can learn more about sharing calendars and time zones here. We have more scheduling improvements planned for 2017 including better ways to help you manage calendar resources. Stay tuned! Last year, we made scheduling meetings smarter in Google Calendar for Android and iPhone by enabling them to find time for meetings and book rooms. 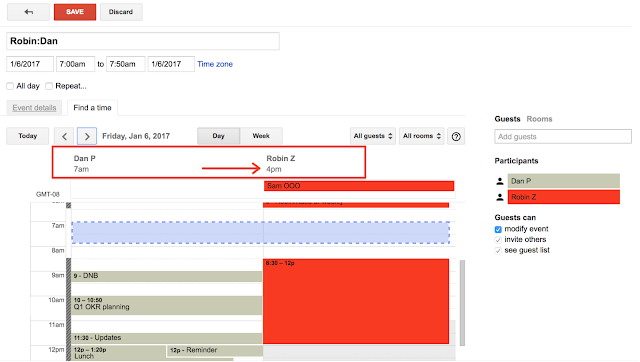 Today, we're happy to announce that room suggestions and showing guests' time zones are coming to Google Calendar on the web.